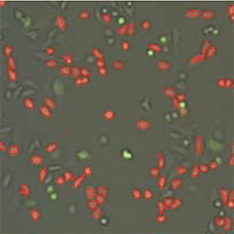 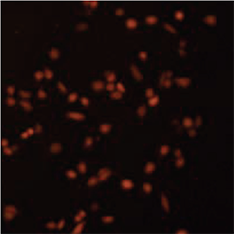 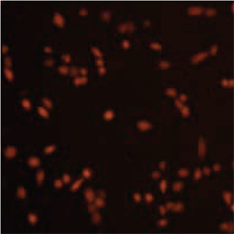 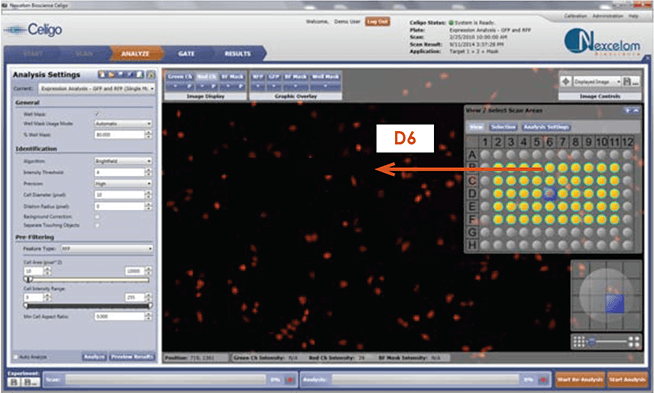 A 96-well plate containing samples with varied % of RFP, GFP and non-expressing HeLa cells were counted using Celigo. 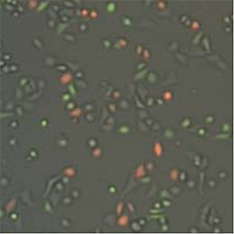 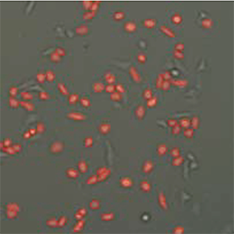 Bright field, green fluorescence and red fluorescence channels were used. 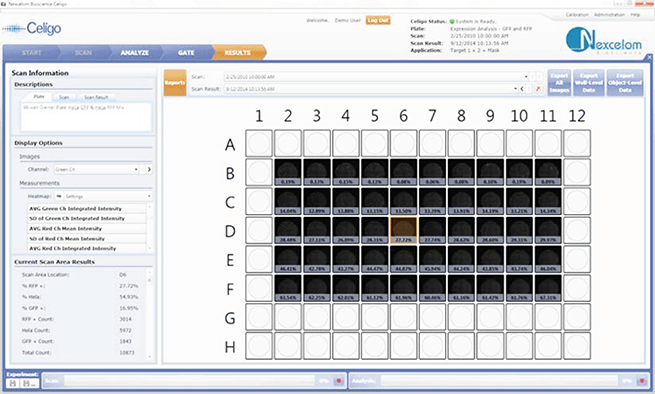 Double click any well on the well map to display whole-well images. 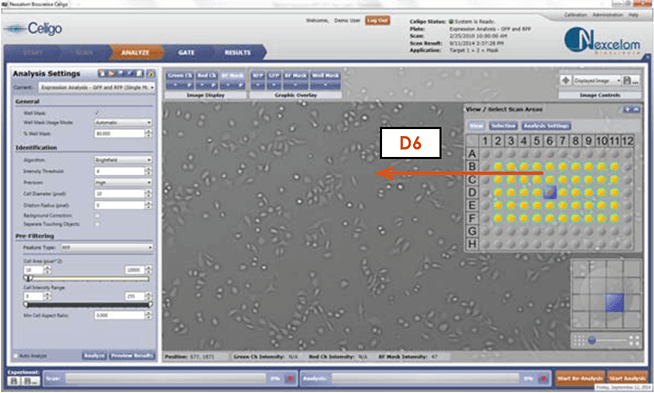 Zoom in to see details as shown below in cell image examples. 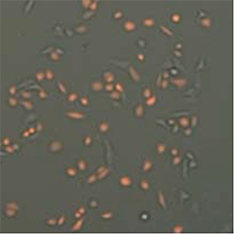 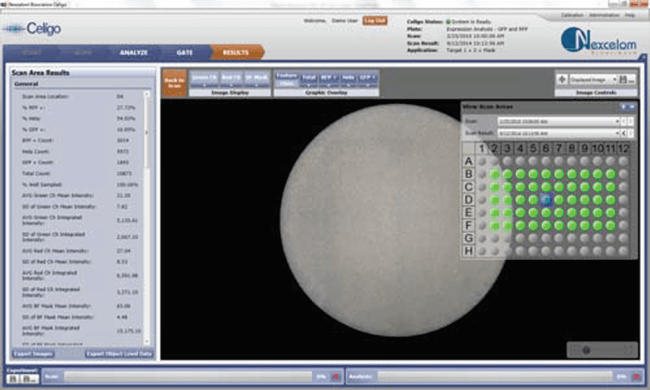 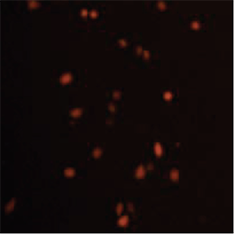 Overlay of bright field, GFP+ and RFP+ cells identified by Celigo image processing software. 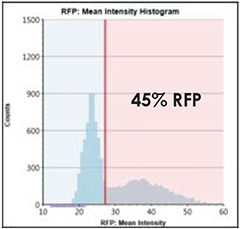 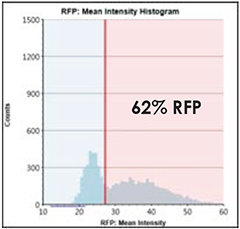 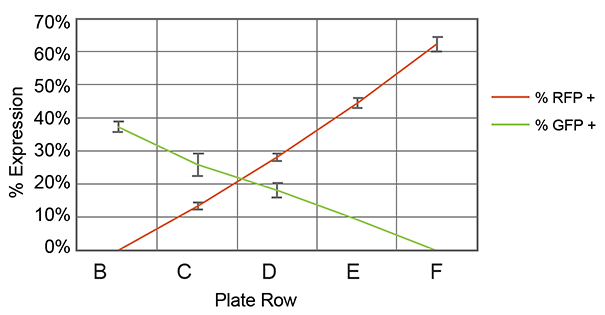 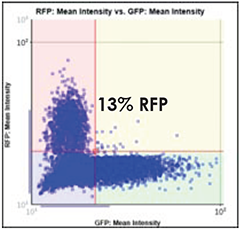 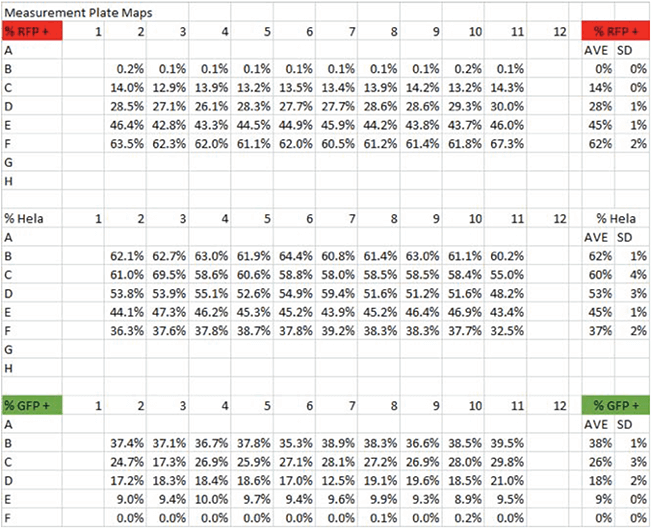 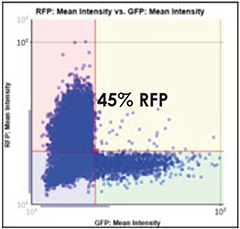 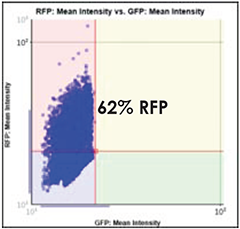 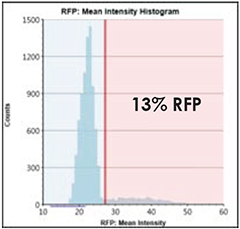 GFP vs RFP intensity scatter plot is also shown. 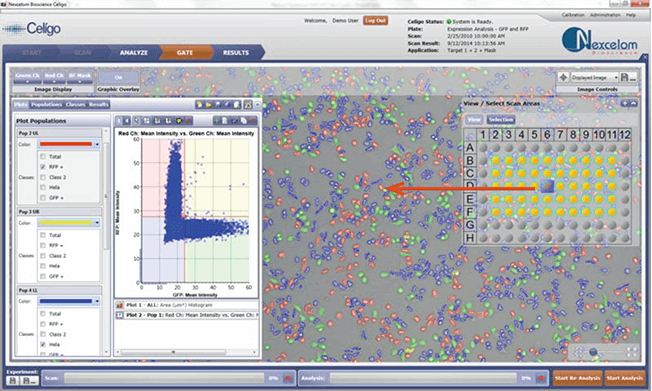 When the gate on the scatter plot is modified by dragging, the counted cell image is updated automatically.